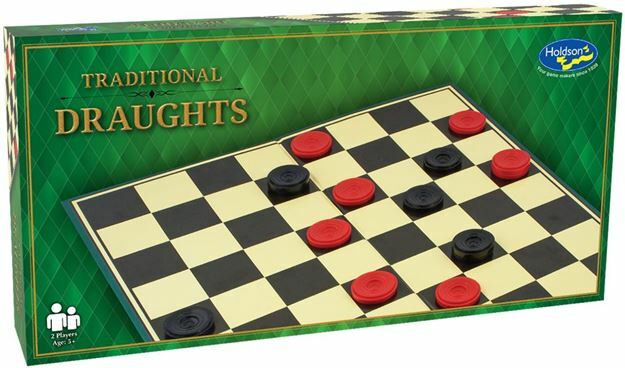 Draughts / checkers is a strategy board game for two players. The object of the game is to capture all of your opponent's pieces or block them so they cannot be moved. For up to 2 players. Age 5+ years. Made in New Zealand by Holdson.